Pixel Plow is proud to have great relationships with the companies listed below. They all work hard, do a tremendous job, and have quality goods and services. If you’re not already a customer of theirs, please consider becoming one. Greyscalegorilla.com is a company founded in and for the motion design community. We believe in creating tools and content that help motion designers at every level. We want to make learning more accessible and practical by creating easy-to-follow tutorials and training that show you way more than just what buttons to push. We also work to develop tools to streamline your creative workflow and to help remove tedious and repetitive tasks so you can spend more time creating great work.  Toolfarm.com, based in San Francisco since 1999, is a leading reseller and distributor of video software products and third-party plugins, with an emphasis on After Effects plugins, as well as 3D Animation plugins and software. Known also for distribution, high-quality customer service and training, it has become THE place to shop for all motion graphics tools. TurboSquid.com models are used by game developers, news agencies, architects, visual effects studios, advertisers, and creative professionals around the world. Whether you’re a 3D artist or not, you’ve probably seen TurboSquid models hundreds of times and didn’t know it – which is fine with us! Our goal is to save artists the time of making a great model, and instead let them add their own personality to their creations. Our customers tell us they save 27 hours per model purchased, which can be a lifesaver in a time crunch.